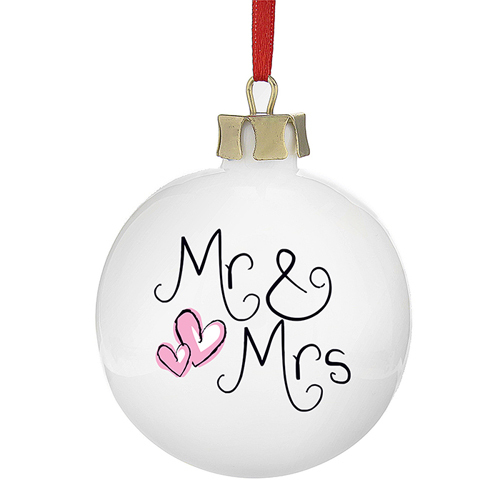 This beautiful china bauble makes the perfect gift for any newlyweds you may know. 'Mr & Mrs' is standard but you can personalise the reverse with any message over 4 lines, 20 per line. Personalise the reverse with any message over 4 lines, 20 per line.